Are More British Pensioners About To Become Expats? Will there be an end to expat frozen pensions? I wonder if an election is coming? What makes a good expat? Of all the expatriate destinations located around the world, one in particular is beginning to attract a lot of interest- Qatar. Skilled expatriates are highly regarded in the UAE, and Qatar is no different. In fact, some of the most powerful business people in the whole of the Emirates are expatriates, as documented in the annual UAE expat power list. Qatar is also in a great place, stability wise, its GDP growth in 2010 was an excellent 9 percent and predictions see it going up to 16 percent in 2011. Qatar also has excellent levels of employment, unemployment levels here are amongst the lowest found anywhere in the world. Amongst the employment prospects Qatar has other benefits for the expat worker. Of course the weather is superior than the UK's, however there are also significant financial benefits. Working away from Britain enables you to detach yourself from UK taxes, and also take advantage of offshore pension plans such as the QROPS. Recently the United Kingdom signed a double taxation agreement with Qatar meaning that Brit expats who become permanent residents in Qatar can reap the full reward of the Emirate's tax-free salaries, without worry of taxation back home.You can find out more about your personal financial when working in Qatar by speaking with a recommended financial adviser who will explain in detail the new options that often arise when you leave the UK. Certainly, becoming an expat in Qatar is a great move for the ambitious individual, and your career could skyrocket in the Gulf. Employment prospects for skilled expatriate workers are good, as are salaries and other employment benefits. When working for a large company in Qatar you often find that your housing and living costs are subsidised on top of your wages. 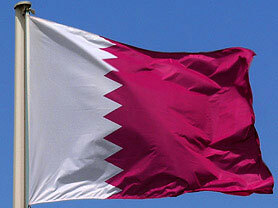 Couple this with incredibly low rates of tax and you’ll see that working in Qatar is extremely financial rewarding. So once you’ve started earning all that money, the next question is- what to do with it? Well, deciding what to do with your money does not simply mean figuring out which sports car you’re going to buy, when you’re working in another country there are many important financial decisions to be made. First of all its important to decide where you will actually put your money. Of course, you will have a bank account back at home, and you may be thinking about opening an account in Qatar, but have you also considered opening an offshore bank account? Offshore bank accounts are the ideal way for an expatriate to manage his money. There are numerous benefits that are associated with offshore banking, especially for expats. One of the main reasons many expatriates choose to bank offshore is the lessening of tax liabilities. As an expat you may become a non-resident of your native country, in which case if you manage all your finances in an offshore account you may be able to legitimately avoid paying taxes in your native country, instead paying, often favourable rates of, tax in your offshore jurisdiction. Offshore banking also brings with it greater levels of convenience for the international expat. For instance, with an offshore account most of the time you will have the option of managing your money in different currencies. As an expat you may receive pay in one currency, have to pay bills in another while also needing to know how this will translate into the currency of your true home. Taking into consideration the needs of an international customer, most offshore banks also offer 24 hour access and assistance. You will usually be able to bank and complete transactions in a number of different currencies, and have full access no matter where in the world you may be.